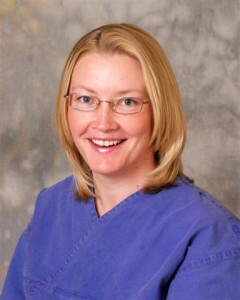 Nichoela Dalton is a Dentist at Orgreave Dental Surgery in Sheffield. Originally from Stockport, Nichoela studied at the University of Sheffield, graduating in 1993, winning the prize for restorative dentistry. She started as a vocational trainee in Mansfield, becoming an associate there in 1994, and staying at the same practice until she started at Orgreave Dental Surgery in 2001. Nichoela adheres to the General Dental Council’s Standards for the Dental Team. Nichoela is indemnified by Dental Protection Limited, membership no 383423. She is a UK graduate and female. Nichoela loves improving smiles using new all-porcelain crowns and with tooth coloured filling materials. Nichoela spends her spare time chasing after her two boys, at the gym and reading. Her recent addiction to the app 2048 is as a result of getting her first iPhone. Nichoela lives near Hunter’s Bar with her husband Jim, our other dentist, and their two children. Her last holiday was to the Loire Atlantique and Mayenne in France, but her favourite holiday destination was Mauritius. 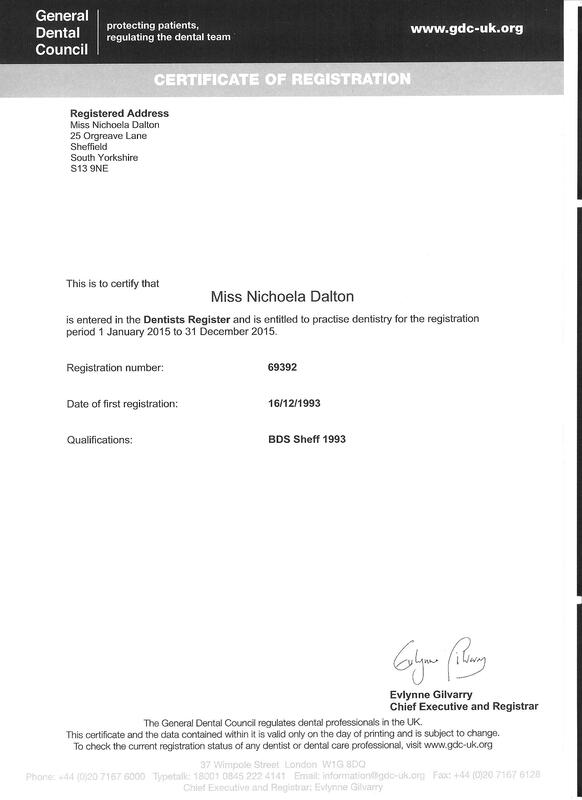 To view Nichoela’s GDC registration certificate please click here.